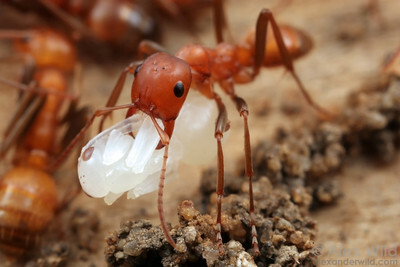 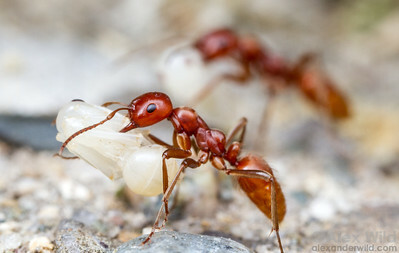 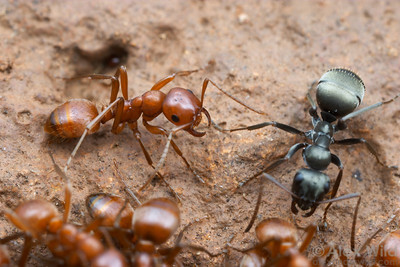 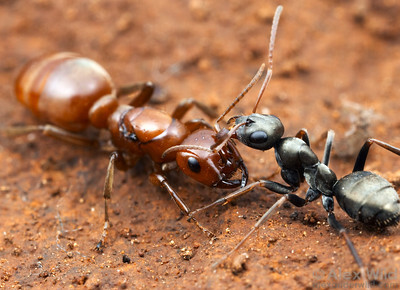 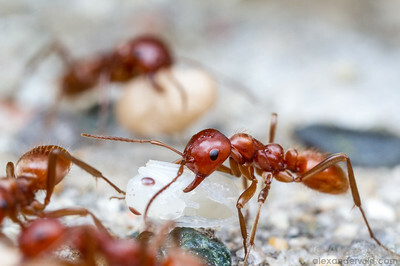 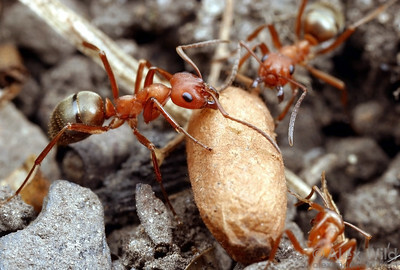 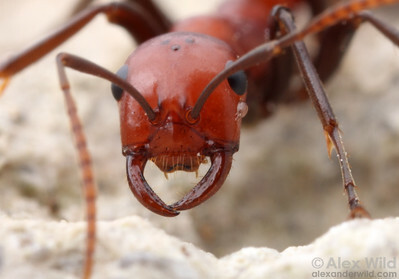 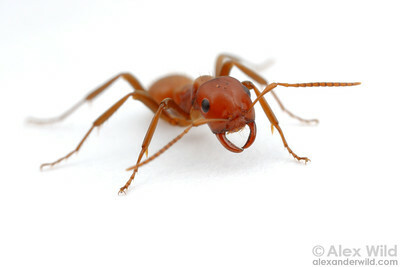 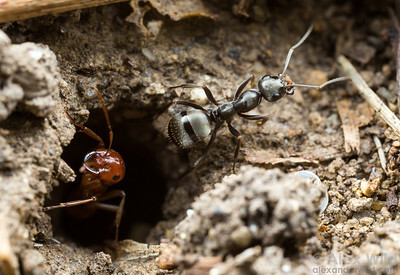 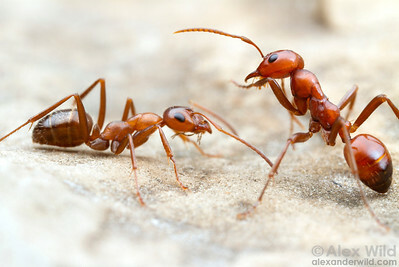 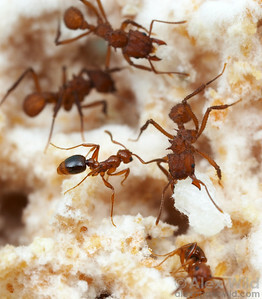 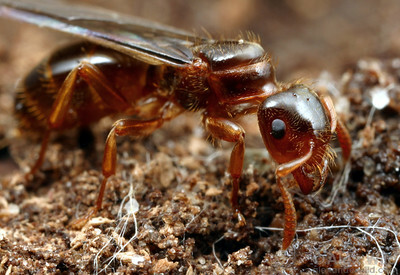 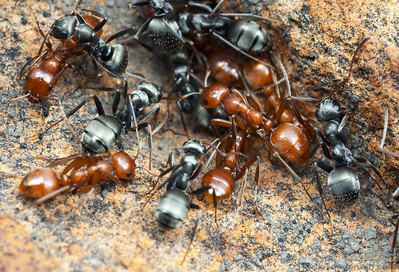 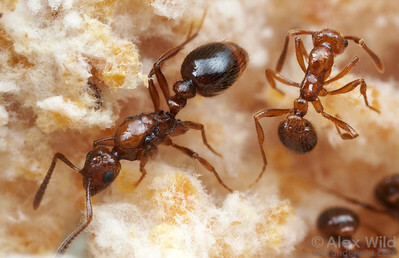 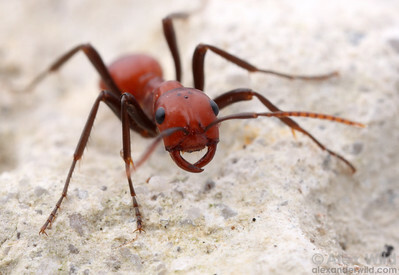 Images of ants that make their living off the labors of other species. 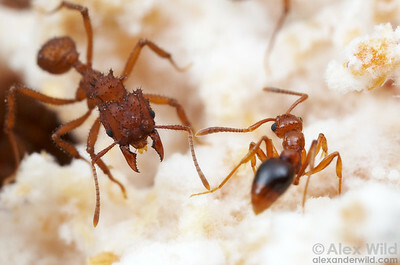 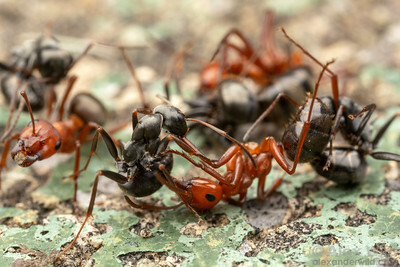 Formica pergandei (red) is a social parasite that kidnaps brood from other ant species to use as labor. 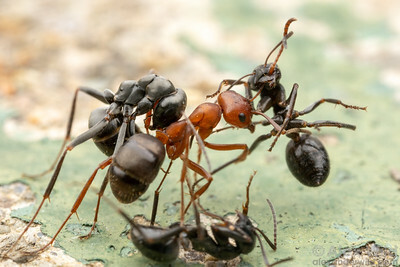 Here, guards from a target Formica glacialis colony put up a tough enough fight that the kidnappers failed to breach the nest. 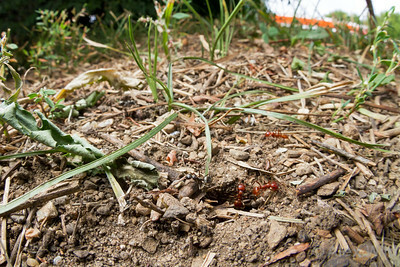 South Bristol, New York, USA.